Claire and Natasha had dedicated their time and energy to understanding the mysteries of flight. Daydreaming became model rocket launches, and model rocket launches led to aerothermodynamics exams. By the time they graduated from university, they had offers for full-time, aerospace engineering positions at Air Tractor and the Department of the Navy, respectively. From marveling at the aircraft overhead to designing them, their experiences in aviation had come full circle. Then, they decided to begin the adventure again. In true aviator fashion, they realized that the journey had been just as important as the destination. So, advised by their own experiences in the aerospace industry, they set out to reengineer the way that we approach STEM education. The result is Vivify STEM, which equips teachers with resources that help bring STEM education—and STEM careers—to life. Redbird’s Director of Business Development, Joey Colleran, works with STEM education professionals across the country. 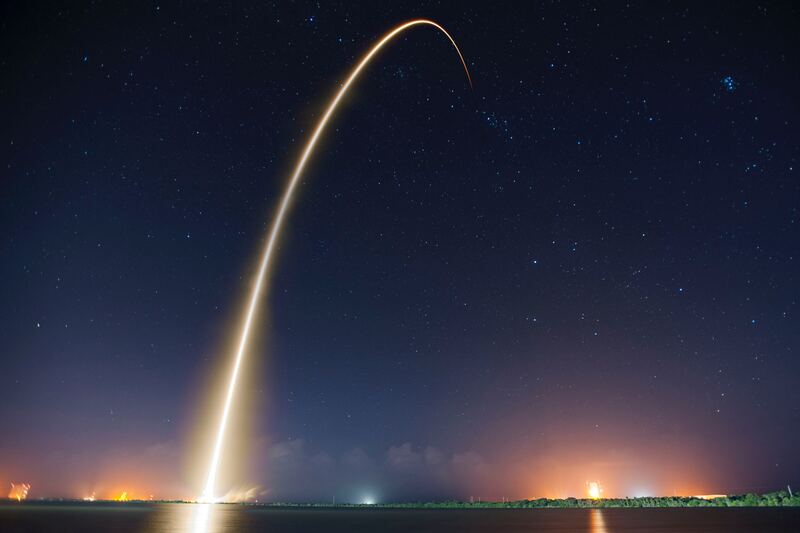 She recently sat down with the two aerospace engineers turned STEM pros to discuss how they set out to reinvigorate STEM education. What sparked your interest in aerospace? Claire: As a little girl, I was captivated by flight. My dad and I would park at airports and sit in the back of his car, watching the air traffic like it was a sporting event. We would stay up late flying with Microsoft Flight Simulator, visiting airports all over the world. Then when the Mars Pathfinder spacecraft launched and landed on Mars in 1997, rolling out the Sojourner rover that became the first rover to operate outside the Earth-Moon system, I was hooked on aerospace! I collected every newspaper clipping of what NASA was up to and read my dad’s pilot magazines. I set my sights on becoming an astronaut pilot. In my freshman year in high school, my biology teacher asked us to research a career we wanted to pursue and the education needed to get there. It wasn’t until then that I learned what I needed to do to achieve my goal. This revelation set me on the course to earning my degree in Aerospace Engineering at Texas A&M University, which is where I met Natasha. Natasha: Unlike Claire, I had no idea what I wanted to be when I grew up. When I was in 8th grade, my parents signed me up for a week-long engineering camp. After launching my first model rocket, I was hooked. But throughout high school, I couldn’t get over the stereotypes surrounding engineering: it always felt like a career path that was too nerdy or just for boys. I initially signed up for business school, but my dad, an aerospace engineering professor, worked his magic and I made the fortunate switch to engineering! That’s where I met Claire, and we quickly became friends, study partners, and roommates. We did everything together, earning the nickname “Clasha.” We graduated in 2009 as 2 of only 4 females in the entire class, and the strength of our friendship is a big part of what kept us going. Before transitioning into STEM education, what opportunities did you have in the aerospace industry? Claire: During college, I had the opportunity to be involved in two internships. The first was at Boeing Commercial Airplanes in Everett, Washington, where I worked as a structural engineer on the beginnings of the 747-8 program. As the 747-8 had all-composite wings, this was Boeing’s first move toward composite aircraft. The rollout of the all-composite 787 Dreamliner also occurred while I was there. It was fascinating to see how so many parts, manufactured from all over the country, could be brought together to form an aircraft with capabilities like never before seen in the airline industry. That following summer, I moved to Houston, Texas to work for Boeing Space Exploration in the Guidance, Navigation, and Control group for the Space Shuttle Program. It was an exciting time to be involved with NASA, and I was able to participate in the preparation and analysis of the STS-124 launch. After college graduation, I took a position as an engineer at Air Tractor, designing and performing analyses on its agricultural and firefighting aircraft. I loved being a part of an aviation sector that helps feed and clothe the world. Between commercial airliners, the space shuttle, and crop dusters, it still amazes me how all aircraft adhere to the same principles of flight! Natasha: I was the lucky recipient of a Department of Defense fellowship, and I worked every summer—and then the first several years after graduation—for the Department of Navy in Virginia and Washington DC. I was fortunate to experience a broad range of technical assignments across three different Navy labs that allowed me to explore various aspects of science and engineering. One assignment involved electromagnetic interference field testing for Navy radars. It enabled me to travel the country with a team of engineers to perform spectrum analysis. Another opportunity allowed me to work alongside physicists to conduct materials research that led to an exciting patent on metamaterials. However, my favorite work was at the Navy-Marine Corps Spectrum Center. There, I led the effort to negotiate operational frequencies for a research satellite that was launched from the ISS. The astronauts even sent our team a photo holding the satellite before launch! With everything you both had going on, what led you to start mentoring and volunteering? Claire and Natasha: Outside of our technical interests, we both have a heart for education and giving back. We know that without the encouragement of others—like our parents and mentors—or without the emphasis of academic steps that lead to real-world careers (like Claire’s 9th-grade biology project), we would not be where we are. Even in college, we were led to actively seek out ways to reach younger students. At our first outreach event, we hosted Engineers Week at a local elementary school. We inspired kids with stomp rockets and hoop gliders. The event sparked our passion to give back, and despite a heavy course load, we made time to serve as leaders in various organizations. To combat the high dropout rate in Aerospace Engineering, this included developing a mentoring program that matched upperclassmen with freshman. Even long after we had entered the real world of engineering, we still had an urge to help others achieve their dreams. It didn’t take us long to find this outlet in STEM education. Natasha: While working for the DoD, I decided to start volunteering after work. I joined an organization that assigned me to tutor middle school students. I loved working with the students, but I was really discouraged by their lack of interest and low skill level. In our program, the instructor used flashcards and worksheets to improve math skills, but I felt that these students needed to first be inspired and connect to the subject before they would invest in the material. I started to look inward at what inspired me as an engineer. I began connecting the math topics to an exciting real-world topic, while also making the learning more hands-on and interactive. My passion grew as students became more engaged, and parents asked for more programming after seeing the impact on their child's attitude toward school. As I tested new ways to connect students to math and science through an authentic learning experience, I eventually started several afterschool programs and summer camps. So, that was the beginning of your transition? Natasha: Without knowing it, I was discovering the magic of STEM education! STEM was a buzzword that was just becoming mainstream at the time. Claire was intrigued by the volunteer work I was doing and saw a big opportunity in the education world. Many educators were being told that they needed to teach engineering in their classrooms, but they didn’t have the tools or knowledge to take the first step. This is where we had the thought, “Maybe we can help!” And, just like that, Vivify was born. We wanted to bring engineering to life—to vivify learning—for kids of all ages. We wanted to inspire them like Claire had been as she first watched airplanes defying gravity doing touch-and-goes. We wanted to teach them the connection between what they are learning in their math and science classes and what real-world STEM professionals do. How do you keep up with the latest STEM trends? Claire: Our experience working in the private sector, industry, and government in aerospace engineering has provided a strong foundation of knowledge for how we create our STEM curriculum. We actively maintain relationships with STEM industry and engineering academic professionals to keep our knowledge of current career needs up to date. We also participate in conferences throughout the nation, like NASA’s Space Exploration Educators Conference. It educates K-12 professionals on the future STEM career needs with NASA and its partners. What type of impact are you having on introducing students to STEM subjects? Natasha: Space Club is a project that we’re proud to have created. After leaving the DoD, I joined a nonprofit, Communities In Schools of San Antonio, as the STEM Director. I was tasked with developing a STEM club that would connect with at-risk youth who had trouble finding the motivation to stay in school. I wanted to find a way to attract all students and avoid any preconceived notions about STEM. I started Space Club in 2014 with the thought that giving students a window into the beauty of space—and teaching the journey of humankind's exploration of other worlds—is a powerful tool to inspire and engage an interest in science and engineering. I faced challenges from administrators who didn’t want to support another afterschool program. They felt that students wouldn’t be interested and didn’t see any academic benefit. I pushed forward knowing that Space Club had huge potential to make a difference for students that had few role models in science and engineering, and who struggled with high poverty and dropout rates. One school took a chance, and I will never forget the first day of Space Club. Over 60 students stood in line to attend the meeting. Since then, over 500 students have joined Space Club at 5 different middle schools. With the support of a team of teachers and STEM mentors, we have launched rockets, visited mission control at NASA, sent weather balloons to collect data at 100,000 feet, and designed human colonies on the Moon and Mars. We are now an integral part of the district’s STEM pipeline toward a STEM Early College High School, and we have inspired school-wide STEM Family Nights at every elementary and middle school campus. I started Space Club because of my educational background, but I did not expect the awesome impact that launching a rocket and imagining a colony on Mars can have on a student's confidence and dreams. Where do you see your future in STEM? Claire: One of our main goals is to help educators equip students to successfully achieve their goals. Dreams may change. I am not an astronaut candidate, but I achieved my goal of being a part of the exciting world of aviation. I’m also close to attaining my private pilot’s license. The key is knowing how to get where you want to be and having the support to get there. We are excited to be a part of the STEM education movement and inspiring youth to pursue careers in engineering and aviation!